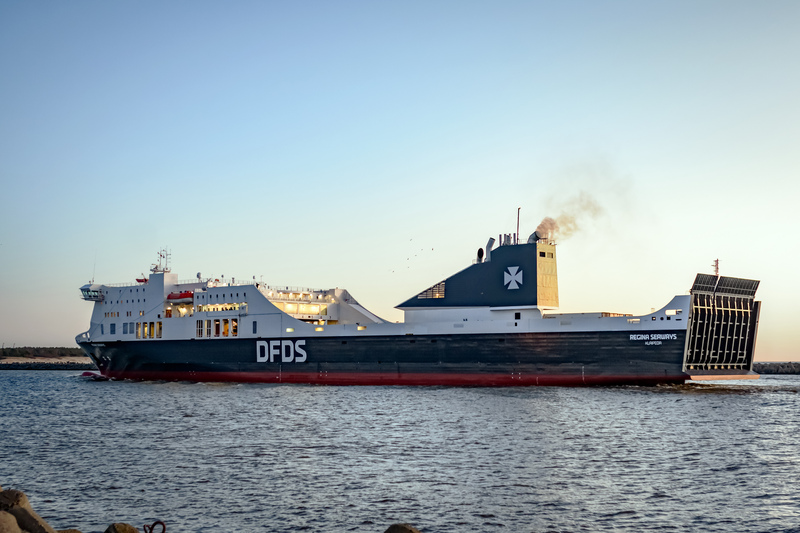 Update 21:25 CET: Shortly after 10 pm local time, Regina Seaways arrived safely in Klaipeda where she is being discharged and where passengers can now continue their journey. Update 16:45 CET: Regina Seaways is now sailing under its own power and is heading towards Klaipeda. Estimated time of arrival in Klaipeda is around 22:00-23:00 local time. The breakdown caused smoke which triggered the ship's extinguishing system in the engine room. No passengers or crew members were injured. The ship has 294 passengers, 41 crew members as well as trucks and cars on board. In line with the procedures, the passengers were assembled at muster stations in preparation for a possible evacuation. However, evacuation will not be necessary as the situation is under control and no heat development has been detected in the engine room. The extent of the damage is not yet fully known, and it is not yet clear whether the ship can continue under its own power or by tugboat assistance. Regina Seaways is a ro-pax ferry, flying the Lithuanian flag. The ship was built in 2010 and carries up to 500 passengers and has 2623 lane metres.